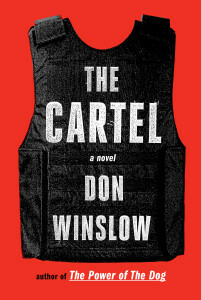 Mystery Fanfare: Don Winslow's The Cartel coming to the Big Screen! Don Winslow's The Cartel coming to the Big Screen! Yesterday, I hosted the always entertaining and brilliant raconteur Don Winslow at a Literary Salon at my home in Berkeley. What a terrific event! The event was also fueled by the news that Don had just sold screen rights for The Cartel to Fox with Ridley Scott directing! 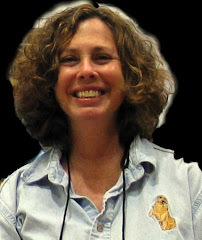 Shane Salerno will be writing the script! How cool is that! Fueled by Ridley Scott’s commitment to direct, Fox won an auction for screen rights to The Cartel, the new Don Winslow drug epic that settles the score between DEA agent Art Keller and Mexican drug kingpin Adan Berrera, a battle that began with Winslow’s 2006 novel The Power of the Dog. The studio is already moving fast to capitalize on all the money it has spent, courting Leonardo DiCaprio to play the role of Keller, and this one looks promising. Winslow and his partner in the deal, Story Factory’s Shane Salerno (who’ll write the script), chose Fox over several intriguing options, because of Scott. The filmmaker covered the drug terrain with the Cormac McCarthy-scripted The Counselor, and as riveting as that movie was, its bleak premise and harsh drug violence limited its gross. This one is potentially more commercial in a sprawling crime epic Godfather kind of way.